Leah Elaine Yablonski was born in Oswego Hospital on March 29, 2018, at 8:23 a.m.
“An Afternoon with the Oswego Jazz Project” will feature the SUNY Oswego faculty combo with a special guest at 3 p.m. Sunday, April 8, in Sheldon Hall ballroom. For the Focus on Faculty Series concert, OJP welcomes renowned guest trumpeter Tom Manuel, with whom they previously collaborated at Stony Brook’s acclaimed Jazz Loft. At a recent Fulton Sunrise Rotary meeting, Assistant Governor Jenny Doane presented Rotarian Peggy Donnelly and her husband, Bill, and Rotarian LaVerne DeLand with the Paul Harris Fellow Award. Oswego Health President and CEO Michael Harlovic welcomed the more than 50 physicians and their guests to the dinner and thanked them for the dedication to providing the community with exceptional local healthcare. 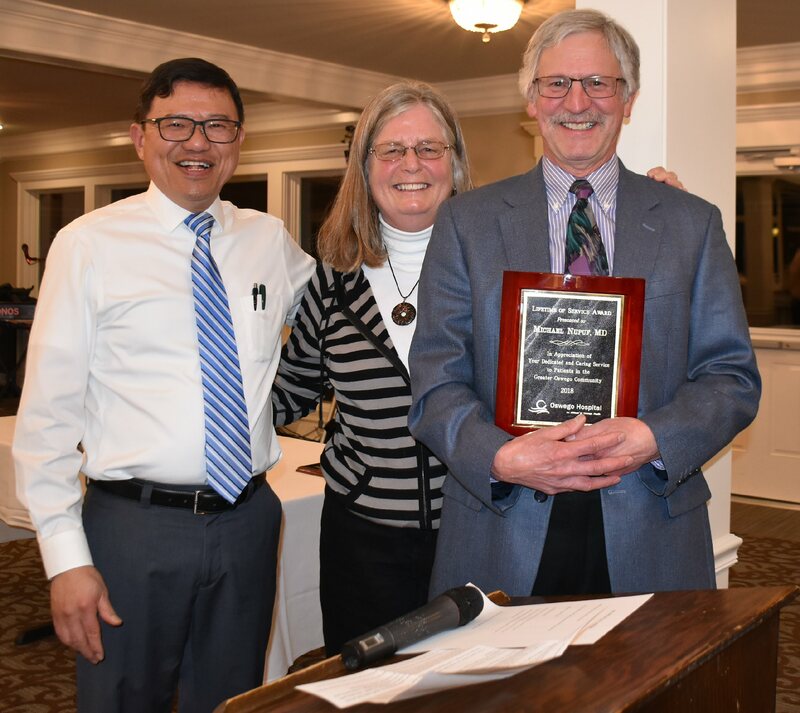 During the event, the health system presented several awards including a lifetime of service award to Michael Nupuf, MD, who will celebrate his 38th year of providing medical care locally in November. Lisa M. (Strough) Hoff, 54, of Fulton, died peacefully on Wednesday, March 28, 2018, at Seneca Hill Manor. The Fresh Air Fund looks forward to celebrating National Volunteer Week every year. I would like to extend my heartfelt gratitude to our inspiring volunteers, hosts and supporters in the New York Lakes Region. Their dedication to our Fresh Air children truly embodies the spirit of National Volunteer Week, which is from April 15 to 21 this year. We have learned that a summer can last a lifetime. Carl Leo Petrie Sr., 79, of Palermo, passed away on Wednesday, March 28, 2018, at St. Joseph’s Hospital, Syracuse. The official opening ceremony of the binational waterway took place in St. Catharines, Ontario, with Canadian Transport Deputy Minister Michael Keenan attending as honored guest and SLSMC President and CEO Terence Bowles and SLSDC Associate Administrator Thomas Lavigne addressing the gathering. The excitement just keeps on coming ahead of Oswego Speedway’s 68th season of racing as another former Novelis Supermodified feature winner announced via Facebook last night that he will be returning to full-time competition this season.